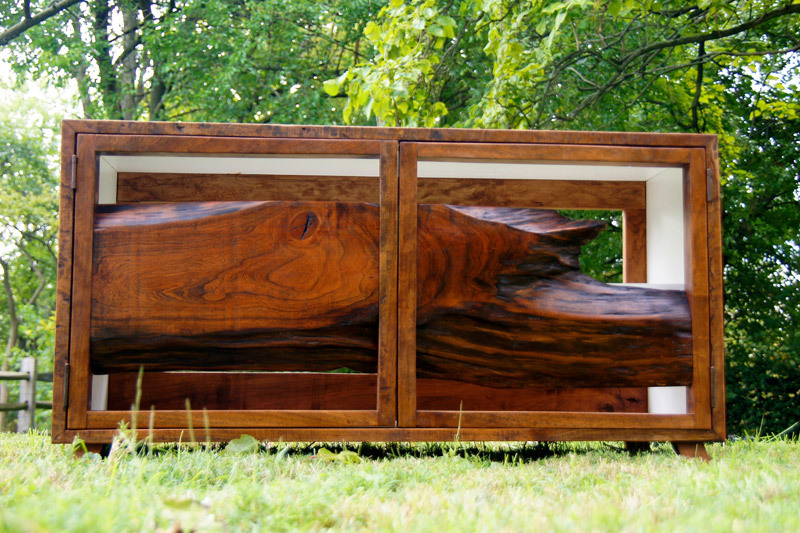 The live edge cherry slab in the center of this cabinet inspired this design. This piece of wood, salvaged from a fallen cherry tree, looks rough and pointed, but in reality it is smooth and pleasing to touch. 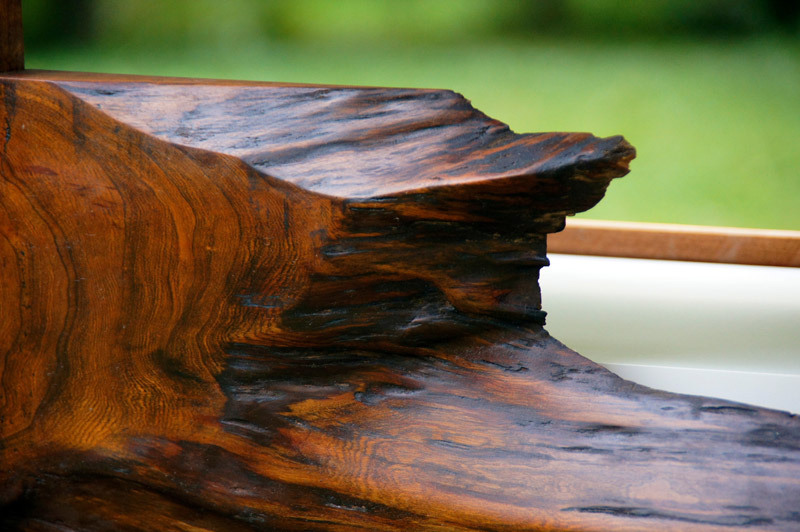 To open the cabinet one gravitates toward using the cherry live edge as a pull, experiencing this contrast. This simple act of opening the cabinet is more than practical; metaphorically it opens the psyche to the majesty of this old tree. 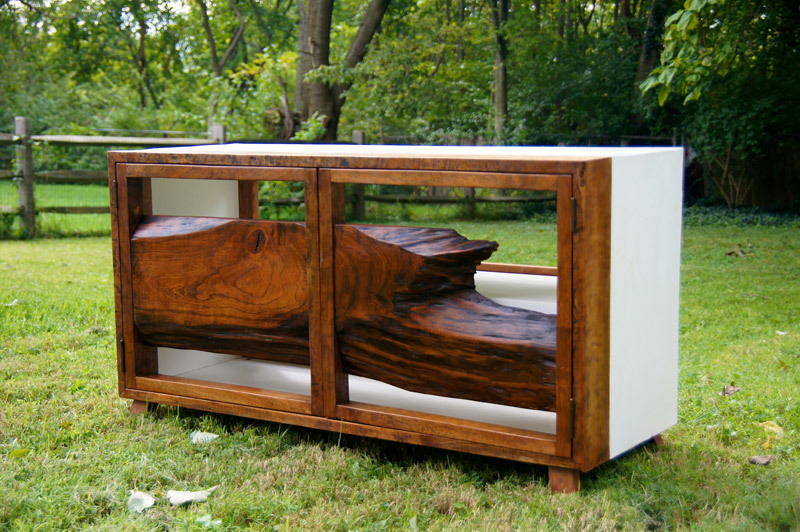 The cabinet was designed as a television stand but could also be used as a buffet or console table. 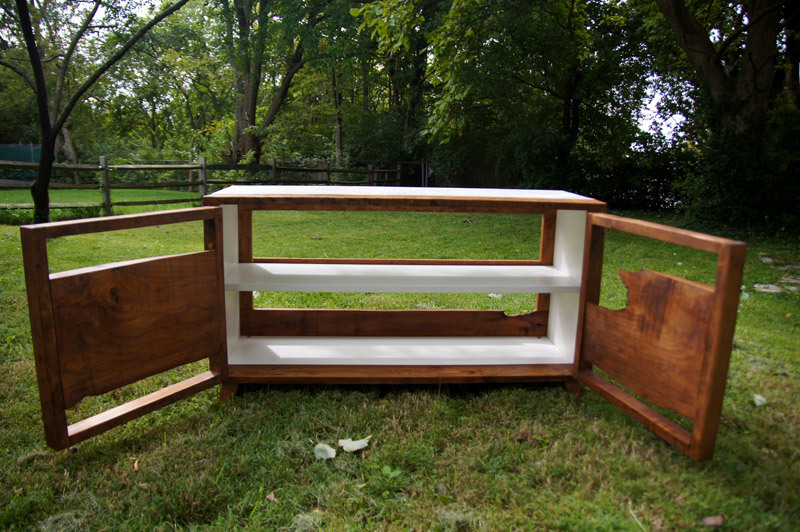 The back, also of cherry, was kept open and is removable to accommodate the myriad of cords necessary for proper modern electronic set-up and also for easy removal of electronics.